If a volunteer calls or walks in, you should make him/her a priority. If you are on the phone, get off and talk to the volunteer. If you are working on another task, drop it and greet the volunteer. Treat him/her as the precious guest he/she is. The Campaign Manager should always have tasks lined up waiting for a volunteer so that if someone comes in, he or she can be put to work right away. In other words, have a stack of call sheets waiting to be called, a stack of precincts waiting to be walked, piles of data to enter, miscellaneous filing and office work ready to go. There are always voters without phone numbers for someone to look up on the internet, etc. There is unending work to be done and it is up to the Campaign Manager to make sure that it is ready to be done. Once a volunteer is trained to do anything (make phone calls, assemble yard signs, enter data, etc.) “promote” him to the position of training the next volunteer. There is no way the Campaign Manager can train all the volunteers as they come streaming in. If you have time to train everyone, you don’t have enough volunteers. This makes the volunteer become an important part of the team and you are also telling him that he is doing such a good job that he just got promoted. Another important benefit of this strategy is that volunteers get to know each other and become friends. Once people become friends in the campaign, they volunteer even more. Perfection is NOT possible! 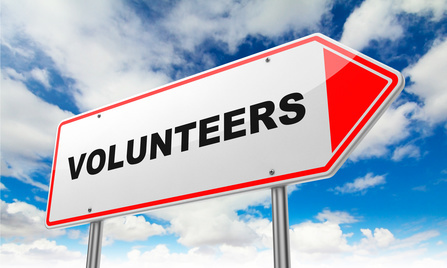 Volunteers usually give snatches of time and will have minimal training. They will make mistakes, read the script wrong, etc. Regardless of the quality of the work, a volunteer should be thanked and asked to come back. They will get better since every time someone comes in, you can go over what needs to be done. When working with volunteers, it is important to let go of some of the standards that we have for paid employees and understand that everything helps move the ball forward. A call by a volunteer is more effective than a paid phone bank so even if someone stumbles in the call, the voter still knows that someone likes the candidate enough to give precious time to help him. This in itself is powerful. When a volunteer shows up, thank her and let her know how much you appreciate the help. It is important that volunteers know the value of the work. If he/she is making phone calls, explain how important this is and what you will do with the information they gather and how it helps the candidate win. Phoning is particularly difficult and phoners often feel that they are wasting their time because they only talk to seven or eight people in an hour. It is useful to explain that this is the most important task of a campaign. Let them know how many total phone calls the team has made and how many total people have been contacted so they can see how they are part of the big picture. Before the volunteer leaves, thank her again and tell her what a good job she has done. There is no such thing as a bad volunteer worker – unless they harass others or waste the time of others. Also, ask him when he/she will be able to come again. Try to get him/her to commit to a specific time and day as that improves the chance of a return visit. After the first visit, send a note (hand written if possible) thanking him/her for the help. Use a web calendar to sign up volunteers and give each of your volunteers his/her own color. Eventually, a volunteer can log in to let you know he/she is coming in and you can be prepared with work for them to do. This is a great place to keep key information for the campaign. Ask several volunteers (one from each community) to post events on the web calendar. Events include local high school sporting events, church events, parades, village events, sidewalk sales, festivals, antique car shows, etc. Anywhere where our candidate can meet voters and work a crowd. This entry was posted in Training and tagged local election, political campaigns, volunteers. Bookmark the permalink.